A sculpture commemorates the men and women who have worked in the industry since 1849. In 1849 James Shoobert opened the first coal mine in the Illawarra at Mount Keira. From this point on coal mining began to develop as the major primary industry of northern Illawarra. The developing coal industry had a major impact on the trade at Wollongong Harbour. Coal was carted from the mines to Wollongong Harbour for export. "This memorial pays tribute to the courage, struggle, sacrifice and camaderie that are the hallmarks of Wollongong`s mining community. 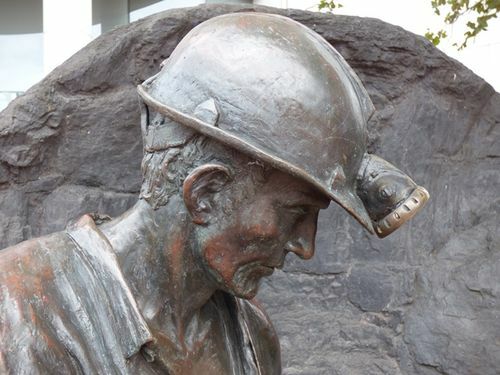 It recognises and honours the debt of gratitude owed by the City to the men and women who have worked in the mining industry since its inception in 1849."